A number of years back, I went into the Refractor Forum and got into some polite discussions and some real brawls (but nothing really nasty) about the pros and cons of APOs and Newtonian Reflectors. I listened very carefully and discussed these and really got beat up when I said that a Newtonian could be built that would equal the performance of an Apochromatic telescope of equal aperture with regard to that fundemental building block of any image, a star's diffraction pattern..
Oh, how the fur flew on that one! After recording many statements from that forum's membership, I quietly stepped aside and started a project to put my money where my fat mouth was. It took a long time as I became increasingly ill with RA, but I finished that Newt and wrote a scientific article outlining my reasoning. The article was accepted and is now in print in Astronomy Technology Today, (www.astronomytechnologytoday.com) , and I am sorry to report that at this point, you've got to subscribe in order to get access to my work, but that's the deal these days. In any case, please note that I have no intention to going to the Refractor Forum to listen to science fact, science falsehoods and other remarks about what I did. I'm simply too crippled in my hands to answer. My best advice for the APO owners was this. If they disagreed with my findings, they should consider writing their own scientific paper to refute my claims, with footnotes and all (! ), get it accepted and printed for all to see. That is how science is done. My article, while provocative, should be a prod for people to think about what they are saying, and what the manufacturers are claiming. I've added this topic here for the poor benighted Newtonian owner who has to listen to the superiority of refractors in general. All the time. And with a little bit of luck, better instruments will follow. Even by ATMs. Even with Newtonians. Edited by ed_turco, 27 April 2015 - 10:11 PM. Good Question. Since I am new to astronomy (18months) my approach is to do both. I now have 26 telescopes, at a cost of $16,488.95. All but three are used scopes, so my ability to change is great. New telescopes have a high cost of ownership, for example to touch one can immediately cost you %30. I can't make up my mind. I like Dobs, Germain Equatorial Mounts, Refractors, Reflectors, and SCTs. I love them all. Each one has a place in the sky, where 'wow' occurs. I figure in another year I will learn how to use a camera, and then I can thin the herd. I don't know enough. I currently have two binoviewers, and suspect I need a better one of these. Last week I bought my first Nagler, a 31 mm type 5. I love the question you gave us, which is best.. but I am not so sure I can ever find a good answer.. There are so many factors to consider.. one eye or two.. two inch eyepieces or one and a quarter.. DSLR, CCD, or video? How can I know the answers to all these parameters? The fun of astronomy is the part about being an explorer. Exploring needs questions more than answers.. What do you think? Is there ever a 'best' or is it all dynamic.. we love what we have.. and guess where to move into next? I think the best Newtonians are at least as good as the best APOs of the same aperture. My Japanese made Mikage 210 mm F/7 Newtonian's mirror tested at P-V error 1/40 wave, Strehl 0.999 when I had it re-coated at OWL last summer. However, this OTA cost 250,000 yen (about $2,300) when I purchased it while stationed in Japan in 1988. The star test images are absolutely perfect and ,of course, it is totally free of chromatic aberration. The problem is it is impossible to find a Newtonian OTA of that quality today. There are good mirrors available from premium mirror makers but they usually just get stuck in Dobsonians rather than an expertly machined OTA for mounting on a premium GEM. Newtonians are not as well-regarded as they could be because most in recent years have been made very short and without much quality control. Some of the older ones which were greater than f/6 focal ratio were simply fantastic. I do not know if they could technically equal an apochromatic refractor of the same aperture, but it must have been very close. Meade used to sell some 8-inch reflectors, even low priced ones, which were all US-made and which were just amazing. I sold mine for very little, feeling it was an antique. After many more telescopes which did not measure up, I know how good it was. The Moon had that same quality you get through the best refractors - intense contrast, even in the areas under high illumination, and of course, no weird colors. What is that coffee can thing directly opposite the focuser just below the refractor looking dew shield? That depends...which Newtonians...which APOs...and for what? I didn't think the same thread was supposed to posted on two different forums. I just read the opening post on the Refractor forum. Edited by gene 4181, 27 April 2015 - 03:49 PM. Sorry you're having difficulties with the RA. This getting older stuff is not for sissies. Anyway, I agree with your premise. After many years of observing, I've come to feel that if I could only have one scope, it'd be a well made 8" F6 Newtonian. If well done, a Newt will hold up well against any comers including, I dare say, Apos. As you well know, not all will agree. It's also going to generally be easier on the pocket book; always a concern for many of us. I have nothing against anyone who has a nice Apo, but I can't personally put that kind of money into a scope. You get into 6" or larger and we're talking some big bucks. I must say, if that scope you've made is as good to look through as it is to look at, you've got a winner. I'm impressed so far with what you've created. Times are good for Newtonian telescope buyers!! I'm sure a 8" APO vs a well built 8 F/8 Newt will beat it out at the end. But you gotta figure in the cost, size and the mount needed for a 8" APO. In my book the Newt will win, as a complete 8" APO is gonna cost a easy 25k or more while the Newt can be had for around 1.5k or less. It would seem to me that there must be a way to test for signal to noise of a telescope perhaps a fourier transform processing of pictures. Then I could set up guiding on my CGE mount with a side-by-side bar that I just got, and swap different telescopes to take data. 1. noise figures vs. Light aperture size. for the various types of scopes..
2. plot overall sensitivity (bandwidth) vs. Dollars spent. With as few as 20 astronomers we would have some very interesting data. I owe everone an apology here and elsewhere. But not as some of you think. First of all, there was not a duplicate submission in that other forum, the text was similar but the comments were directed to a far different audience. By the way, I've had my thread locked there so that I cannot offer the following comments to those other people. ATT did me a poor turn in not providing the documentation for my work. Some (including myself) did not find the promised link to my documentation anywhere in my article. And I went through quite a bit of trouble to document the facts I brought up. And, a lot of good stuff didn't make it past the editor. Funny thing is that the publishers of ATT do own the copyright to the article they printed. But that article is so changed from the one I submitted, the original still belongs to me. Therefore, if we can all be patient, I can submit my original article to the folks here at CN, (if they would have me) and I can provide all that fun stuff with the documentation that went into an editor's trash can. But where today would you purchase a reflector like this one I bought in Japan in 1988? Unlike Ed, I did not make this telescope other than determining the best combination of GEM and OTA. The mount is a Pentax MS-5 GEM and the OTA is a Mikage 210 mm F/7 Newtonian. The OTA weighs 22 kg and the GEM 140 kg. Together they cost me 750,000 yen ( about $6,400 at current exchange rates). I will concede that there has been some inflation in prices since 1988 so something similar would cost more than $6,400 now. Ed, can you at least describe your telescope in detail for us? I grant you that a scope such as yours is no longer available as a branded, buy-it-in-a-store product. The quality level of your scope, both optically and mechanically, can be equalled by combining the best mirrors from certain suppliers and structures from certain others. I suspect a 7 or 8-inch, f/8 Zambuto mirror in a Teeter or JPAstrocraft structure with all the bells and whistles - ServoCat, boundary layer fans, optical flat mirror holder etc. would set you back at least $6400. But it would be at least as good an instrument. It is possible to make a Newtonian equal to an APO for visual on the planets. 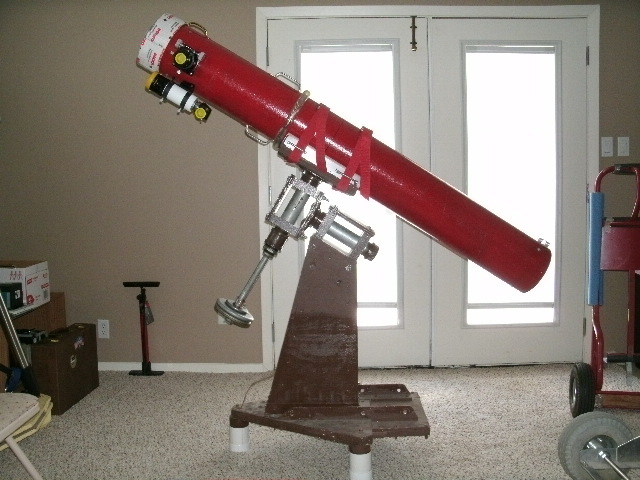 I finished my 6" f/11 newt just in time for Mars last year, also bought the APM 6" f/8 edapo lens that I put on a C6R tube assembly at the same time. The views of Mars at 300x and more thru both scopes was just the same, with maybe the newt a little better on the faint dark areas. The APM cheapo lens is not quite up to the most expensive triples out there, but the guy in Singapore who had both types from APM said they were very close. The newt 6" mirror was from Torus optics, off ebay 30 years old and never used. All you need to beat or match a lens is a quality main mirror. When I put a Zambuto mirror in the 10" f/5.6 30 year old tube assembly it was like having a Hubble Telescope in my backyard, like WOW, wished I had done this years ago. For this task, cost is not an issue. Pure performance is. I'm a die hard refractor guy but I've seen several Newts that are just awesome and come within spitting distance of an equal aperture APO. My Mak-Newt MN86 is one of them as is my 8" F7.5 newt with a Fagen mirror. 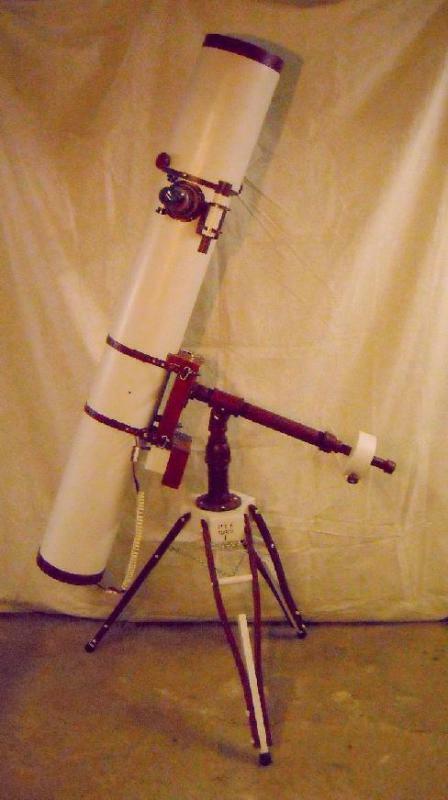 In my mind, the virtue of the apochromatic refractor is not its ability to provide excellent planetary views nor its ability to provide excellent low power, wide field views but rather its ability to do both in the same instrument without the need for compromising either. A smaller Newtonian can be optimized for one or the other but not both. 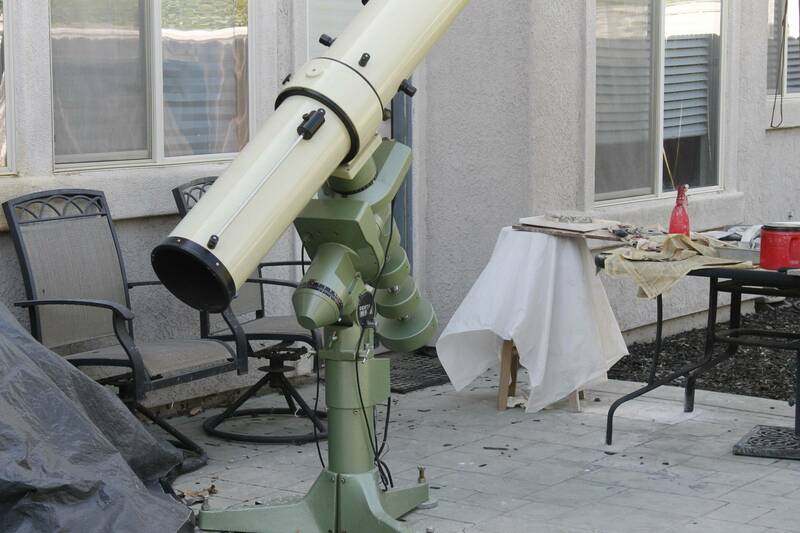 If one is looking for the best possible planetary views, it makes no sense to me to consider it as a competition, the best 6 inch Newtonian versus the best 6 inch refractor, both are ultimately limited by their relatively small apertues.. This in not a yacht race where one has to abide by a set of artificial rules, this is simply open class observing where one is free to pit a 12.5 inch Newtonian against a 6 inch refractor or an 8 inch whatever..
Me, I'll take a smaller apo for it's versatility and efficiency and a larger Newtonian for its greater capabilities. My scopes are not competitors, they're companions.. I was one of the folks on the other part of the forum. I apologize for my reaction and thank you for clarifying the reasons for not being able to share the article and the reason behind your post. I will be first in line when you get another version up on CN. Kinda funny really as I've access to large aperture refractors so their companions are smaller newts.